Visage blinds are made up of two layers of soft touch fabric that are connected by horizontal sheer vanes that gently filters daylight without compromising privacy and at the same time, offer UV protection when the blinds are adjusted. You can raise the blind to give you a full view of the exterior, and lower it to get total privacy. To control the amount of light filtering in, you can adjust the sheer veins. You can also motorise your visage blind to get convenient control of your privacy and lighting options from anywhere in your room at the touch of a button. Choose your Lytham home’s Visage blind from Lytham Window Blinds to give it a fresh and alluring look you will fall in love with. With its luxury and security, you’ve got it all in the Visage Blind. Need a Visage blind that perfectly matches your home décor? Then visit the Lytham Window Blinds store located at Unit 12, Lidun Industrial Estate, Boundary Road, Lytham, FY8 5HU. 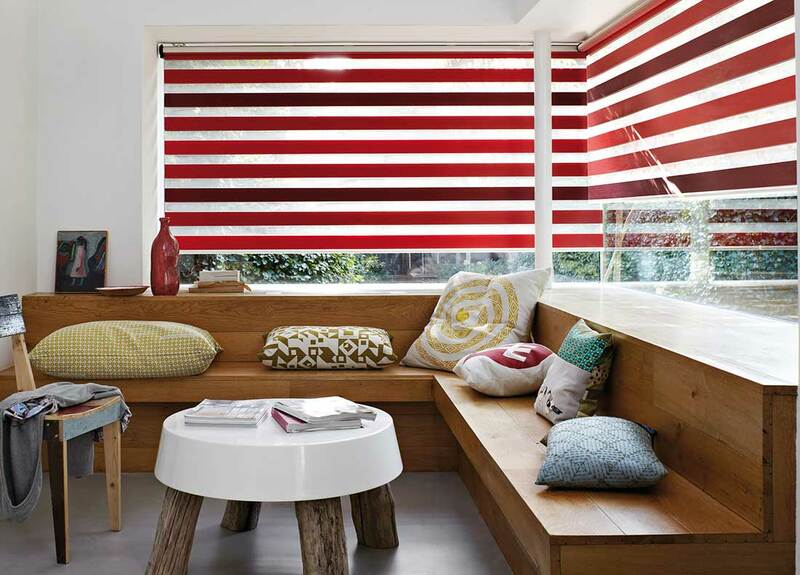 You can also book a free home visit and we’ll be there with the best Visage blinds for your home. For further enquiries, do not hesitate to contact us. We’ll be in touch immediately.